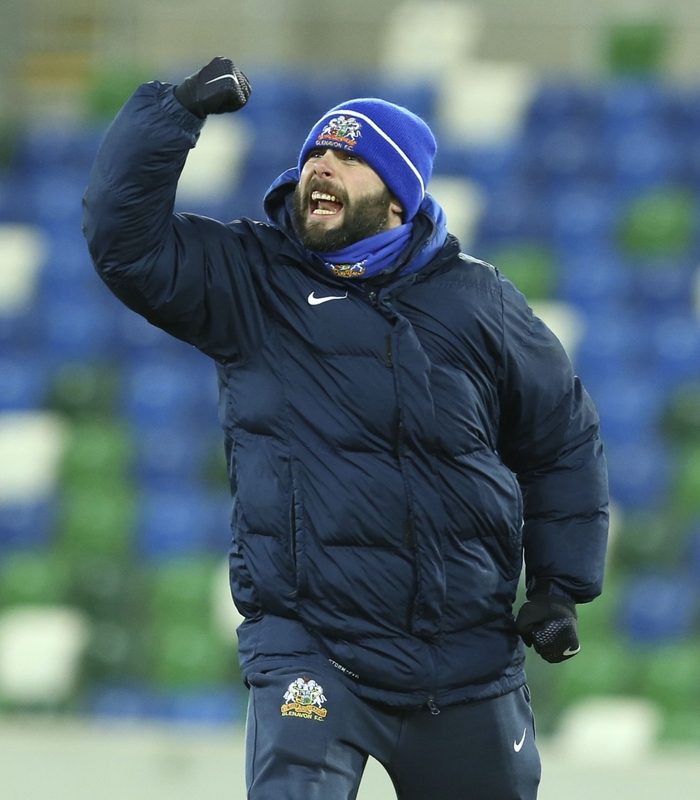 It might have been ‘Baltic’ at Windsor Park last night but Glenavon gave the travelling support plenty to warm them up with a superb team performance against the reigning champions to come away with a thoroughly deserved 2-0 win that stretched the gap between the sides to six points. 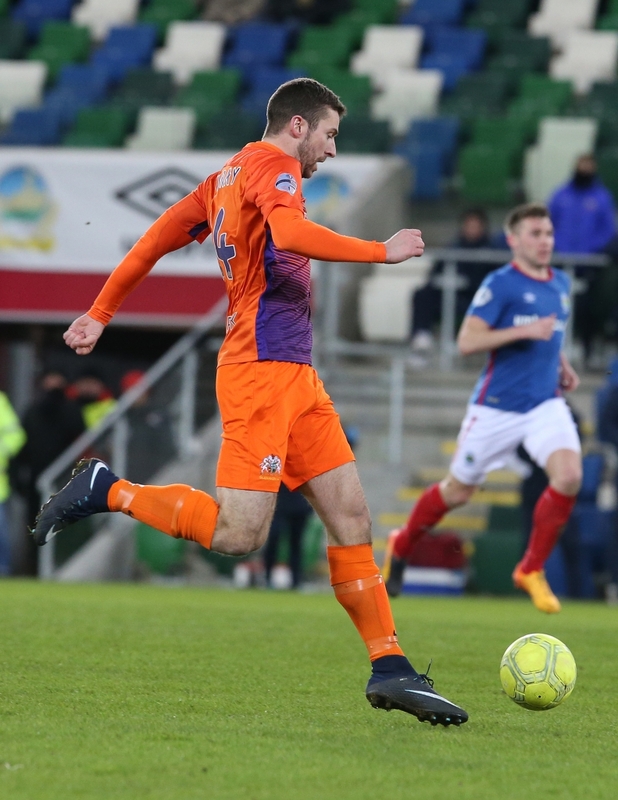 After Glenavon forced the first corner of the game in the second minute Linfield’s French striker Achille Campion wasted a good chance for the home side, blasting high when well-placed after a clearance by Andy Hall from Niall Quinn’s free kick was blocked and he was played in by Jimmy Callacher. 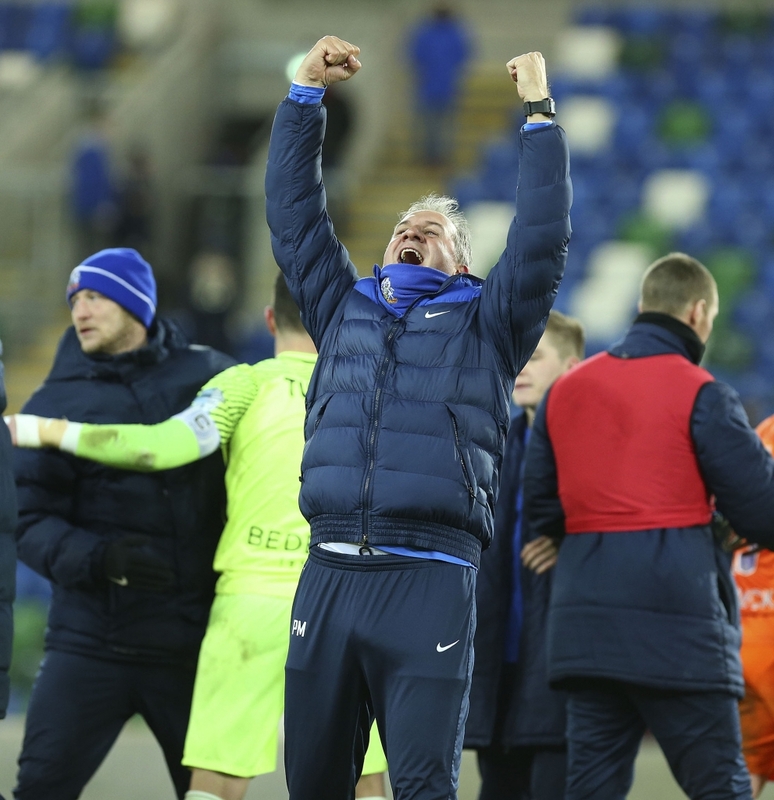 Glenavon went in front in the 21st minute after Stephen Murray blocked an attempted clearance by Quinn on the right touchline and Bobby Burns nodded the ball on to Andrew Mitchell who exchanged passes with Murray. 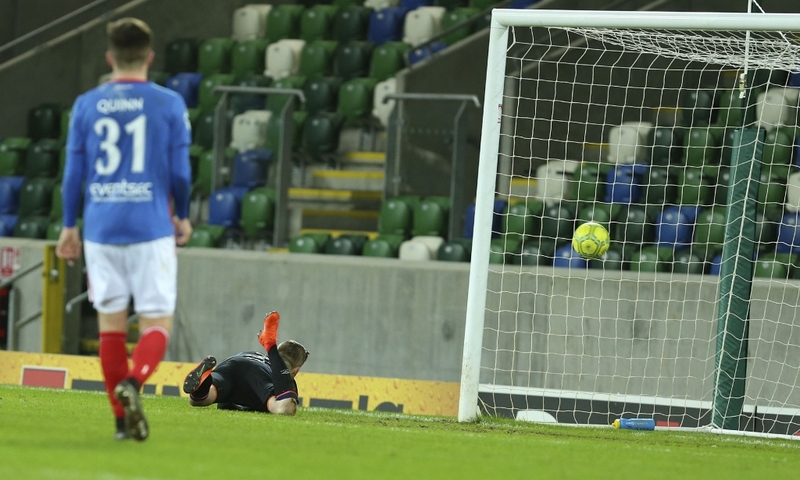 Murray laid the ball back to Josh Daniels and his superb touch deceived the Linfield defenders before he cleverly directed his shot back in the opposite direction to his run, leaving Linfield keeper Gareth Deane flatfooted and watching helplessly as the ball nestled in the bottom corner. 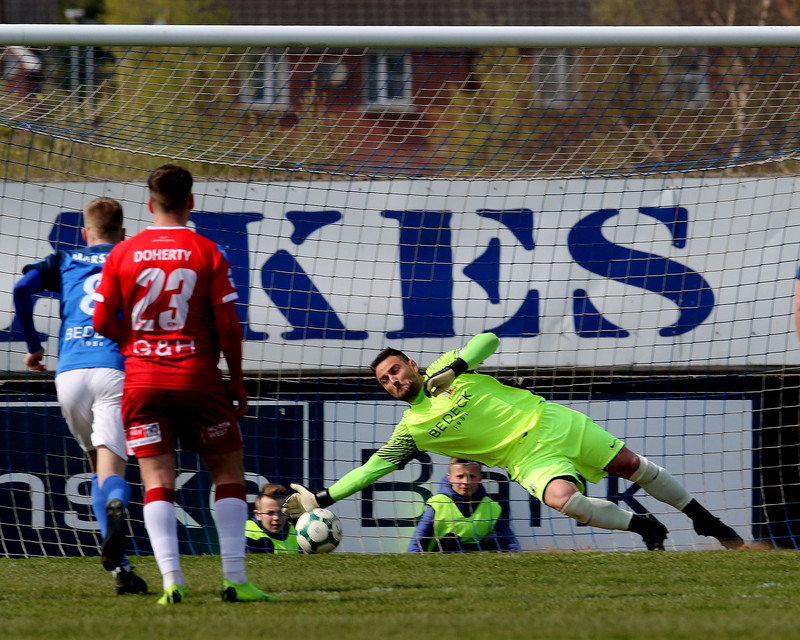 Two minutes later Jonny Tuffey got down to his right to make an excellent save, turning Andrew Waterworth’s low shot behind for a corner. 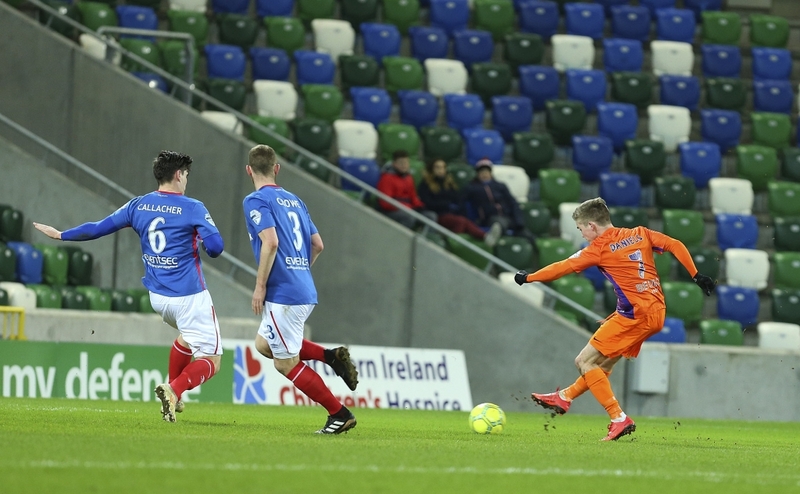 Mitchell screwed a 12 yard shot horribly wide from a cross by Murray before Rhys Marshall went on a charge to the edge of the Linfield penalty box and almost got on the end of a one-two with Murray. Ten minutes from the break Hall then put over a tempting cross from the right with Deane just getting to the ball ahead of Daniels. Waterworth put a header wide from Quinn’s cross five minutes before the interval. 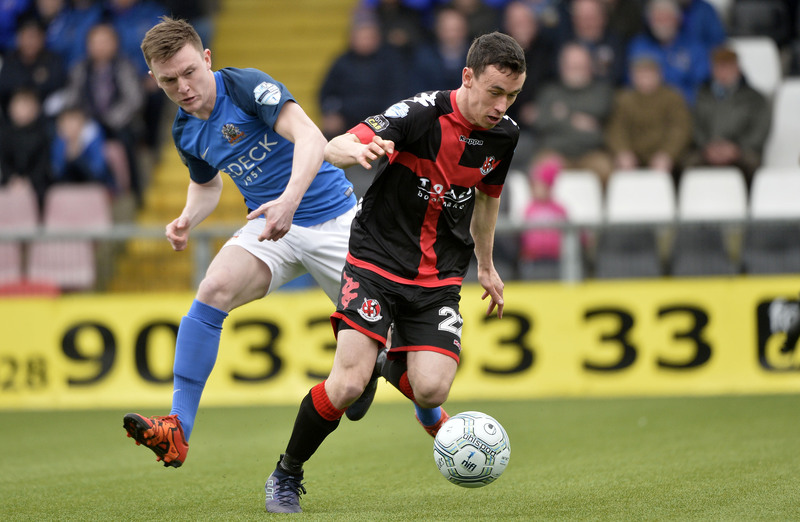 Caolan Marron had to put a dangerous cross from Kirk Millar behind at the expense of a corner early in the second half. 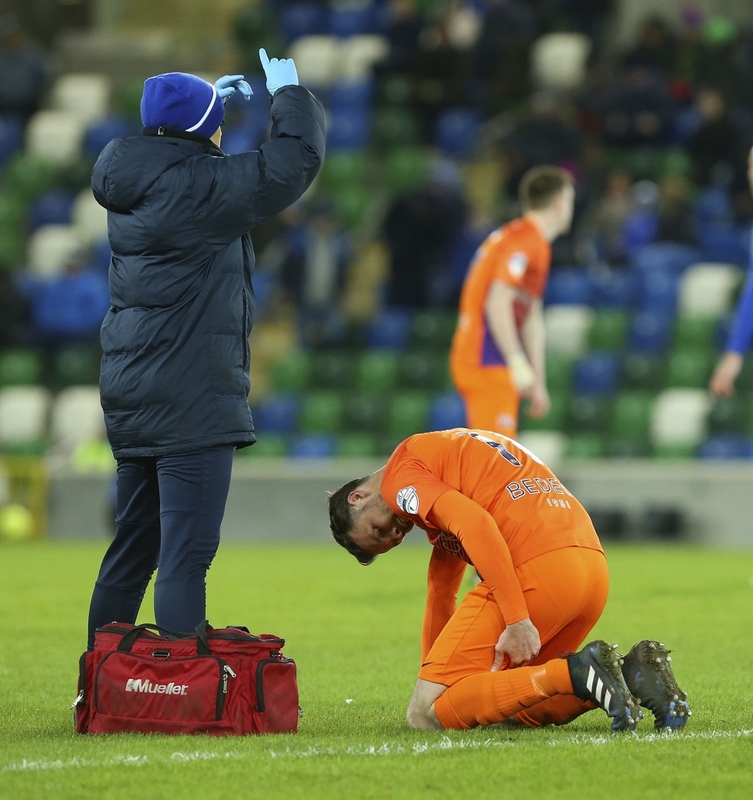 Marc Griffin then replaced Hall who had felt his hamstring tighten but a minute later it was the excellent Andy McGrory who had to be alert to the danger as Stephen Lowry burst into the box, the Glenavon right-back blocking his goal-bound effort. 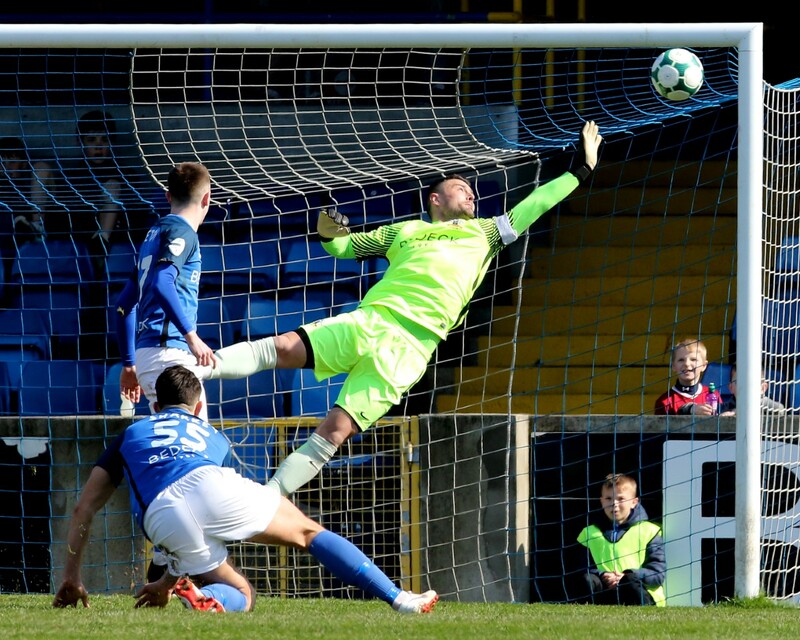 Waterworth again looked the most likely to score for the hosts when he glanced Millar’s cross towards goal but there wasn’t enough power to trouble Tuffey who made a comfortable save. 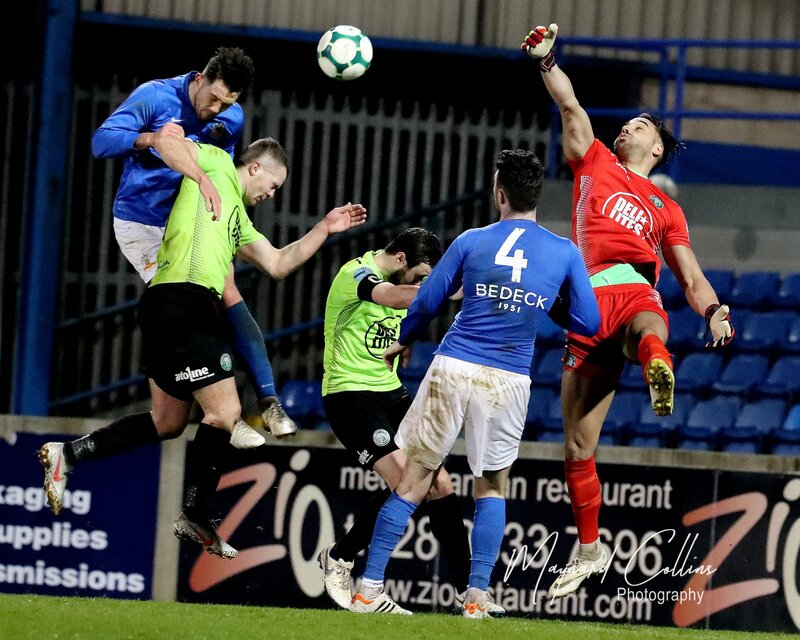 In the 65th minute Linfield fullback Joe Crowe made a total mess of a throw in and Mitchell immediately pounced on the loose ball and fed a cross-field pass out to his strike partner Murray on the right. 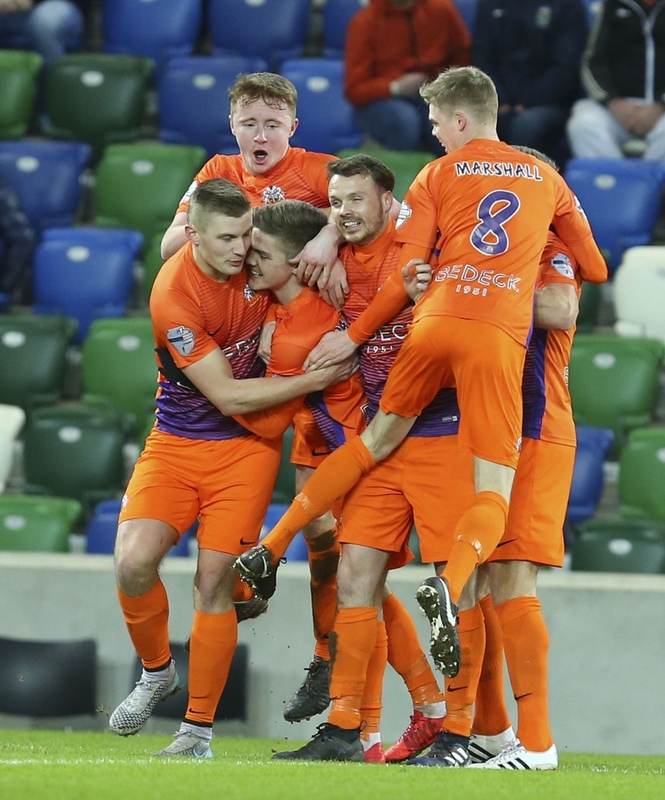 With the men in orange breaking quickly through the middle it seemed certain that Glenavon would double the lead but the normally unselfish Murray elected to shoot when perhaps he could have crossed to an unmarked teammate in the middle and Deane blocked the shot with his legs. 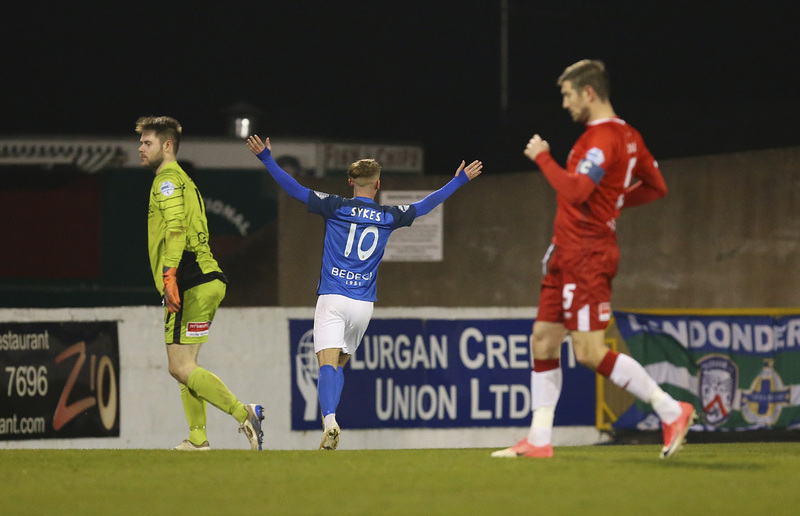 Sammy Clingan who, along with Burns, had run the show in midfield, went close with a 74th minute free kick but the clinching second goal did arrive ten minutes from time. 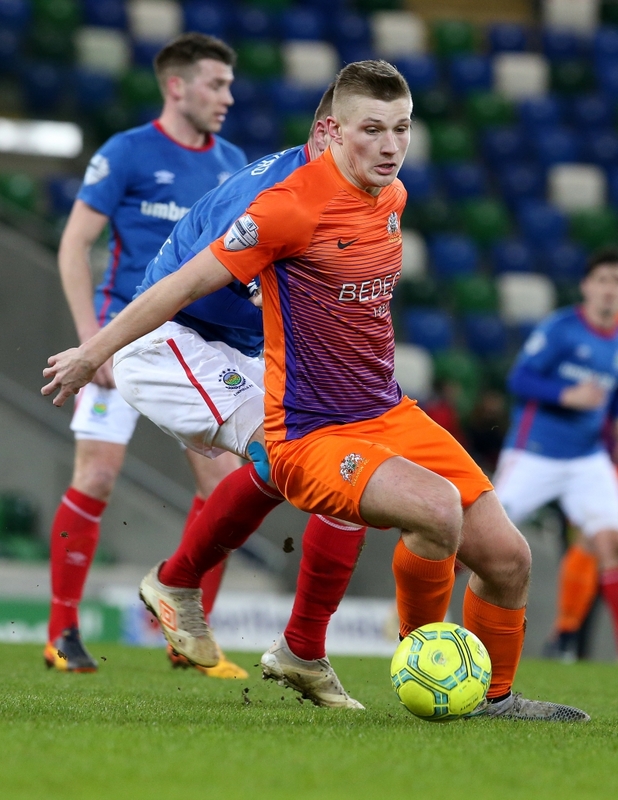 Clingan was involved as he picked up a pass from Griffin in the middle before carrying the ball forward and squaring it to the substitute just outside the Linfield box. Griffin didn’t need a touch as he slammed a left foot shot which took a slight deflection before seeming to bounce just in front of Deane and over his body into the back of the net. Goals: Daniels 21, Griffin 80.